Cobalt, which has a high degree of hardness and high wear resistance, is used for the blade. 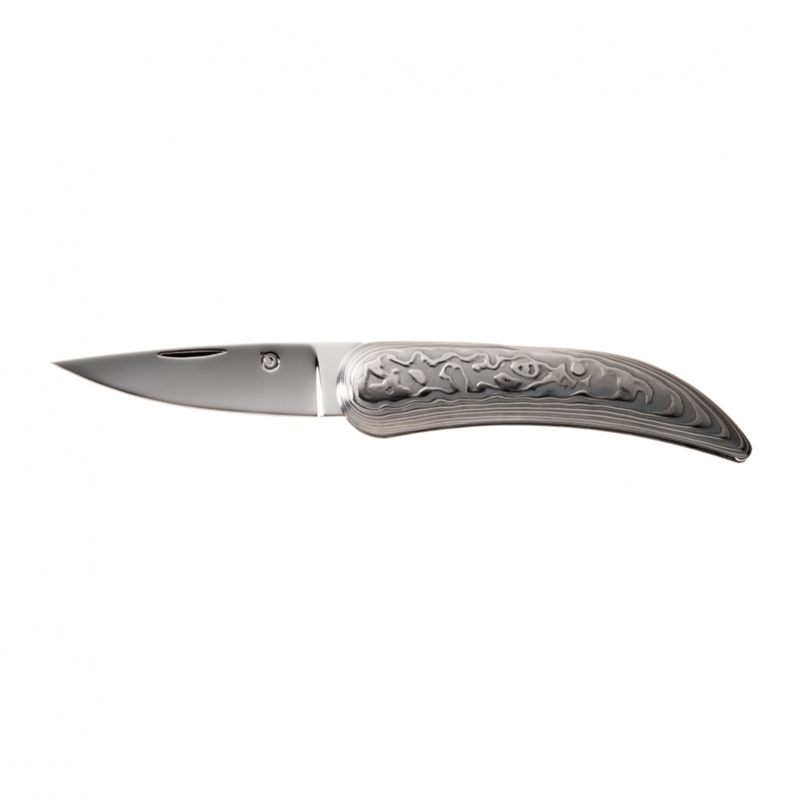 By using Damascus materials, in which the casting and shaving is done by hand, the handle is manufactured sterically. A special process is also applied so that the surface roughness of the pattern is clearly apparent. Therefore, the surface of the grip becomes non-slip, enabling you to hold it firmly and feel more smooth cutting ability.